This calendar is updated regularly as events and event details become available. Please check back often to ensure you have the latest event information. Updated April 25 2019. April 27 2019 Saugerties Dust Off Car Show from 10 am -2 pm at the Saugerties High School, 310 Washington Ave. Saugerties. May 3-4 2019 VSCCA/LRDC at Lime Rock Park, Lakeville, CT. Full information available at www.vscca.org. May 4 2019 Britfest 2019, Succasunna NJ. Featured class is Austin Healey 3000. Full information available at www.mgccnj.org. There may be a Brits caravan to Britfest – more info to follow. May 5 2019 Rhinebeck 2019, Rhinebeck, NY. Full information available at www.rhinebeckcarshow.com. May 15 2019 BoTH Monthly Meeting at 7:30 PM in the Group Meeting Room of ABC Pizza, located near the corner of Route 94 and Union Avenue in New Windsor, New York. For more information contact Mark Waitkins. May 17-19 2019 Carlisle Import and Performance Nationals. May 19 2019 Winona Lake Fire House Annual Antique & Classic Car Show from 9 am - 4 pm at Newburgh Stop & Shop Rte. 300 Newburgh, NY $20 registration fee. June 2 2019 British Car Week. June 2 2019 Empire Drivers Club/VSCCA at Lime Rock Park, Lakeville CT. Full information available at www.vscca.org. A caravan to the track is planned for Saturday, June 1. June 1 2019 Cars and Motorcycles of England at Hope Lodge, Fort Washington, Pennsylvania. Full information available on the Event Flyer. 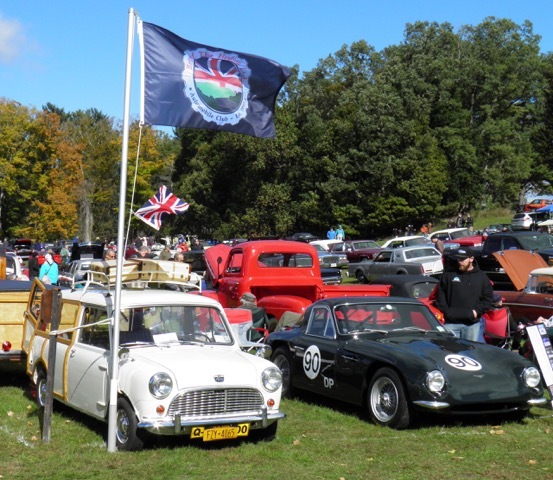 June 1 2019 The North Jersey Region of The Austin Healey Sports & Touring Club presents the 24th Red Mill British Car Day at Red Mill Museum Village, Clinton, New Jersey. Full information available on the Event Flyer. June 1-2 2019 Greenwich Concours, Greenwich, CT. European cars on Sunday. June 2 2019 British Cars by the Sea. CT MG Club, Waterford, CT. 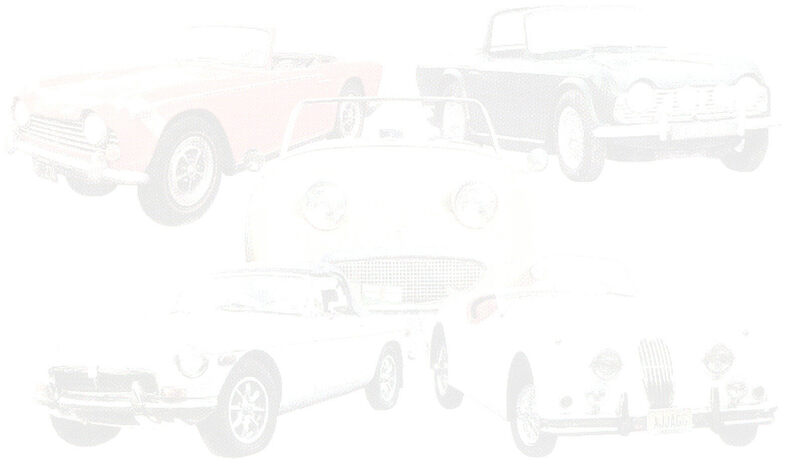 Featured Marque – Classic Mini Cooper. Full information available at www.ctmgclub.com. June 2 2019 Kingston Point Car Show from 10 am - 2 pm at the Kingston Rotary Park at 49-51 Delaware Ave. Kingston, NY. All makes & models, trophies for the top 25 cars. Trolley rides, music & vendors. June 2 2019 9th Annual Taconic State Nationals Car Show from 8 am - 3pm. Pre-register on Facebook, $20 day of show. Questions, call 845-227-4376. June 8 2019 A Touch of England British Motorcar Show, hosted by the New Jersey Triumph Association. A gathering of classic British motorcars and Popular Vote show for all British cars and motorcycles. Hermitage National Historic Landmark, 335 North Franklin Turnpike, Ho-Ho-Kus, NJ 07432-1035. Saturday, June 8th, 2019 9am-3pm (Rain Date June 9th, 2019). Registration Fee: $15.00 postmarked by June 1, 2019. $20.00 after and at the gate. Spectator Admission: $6.00 to benefit the Hermitage Museum. Set-up after 8:30am. Voting until 12:00pm. Awards and door prizes at 2:00pm. Full information available on the Event Flyer. Note: The flyer takes a few seconds to fully load. 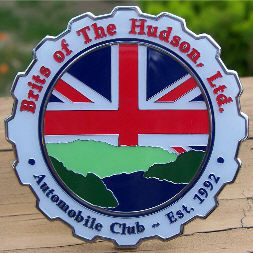 June 9 2019 26th British Motorcar Gathering, Hellertown, PA. 610 865-3419. Full information available at www.keystonemg.com. June 15 2019 10th Annual Classics on the Hudson at Marist College (great river view!) - from 9 am - 2:30 pm at Marist College, 3399 North Rd., Poughkeepsie, NY. Dash plaques to the first 100 cars. Awards for the Top 25, Best of Show and lots of other categories. Rain or Shine. Registration fee $10. Questions, call 845-575-3242 or see Facebook page: https://www.facebook.com/events/2047453972163411/. June 19 2019 BoTH Monthly Meeting at 7:30 PM in the Group Meeting Room of ABC Pizza, located near the corner of Route 94 and Union Avenue in New Windsor, New York. For more information contact Mark Waitkins. June 23 2019 British Car Day, Larz Anderson Auto Museum, Brookline, MA. July 14 2019 Locust Grove Car Show, 2683 South Rd, Rte 9, Poughkeepsie, NY. 8 AM – 4 PM. Full information available at www.lgny.org. July 17 2019 BoTH Monthly Meeting at 7:30 PM in the Group Meeting Room of ABC Pizza, located near the corner of Route 94 and Union Avenue in New Windsor, New York. For more information contact Mark Waitkins. July 27 2019 ATA British Motorfest. Saratoga Auto Museum, Saratoga, NY. Full information available at www.ata-ny.org/sched_events/. July 28 2019 Orange County Antique Auto Club Annual Car Show from 9 am - ? at Thomas Bull Memorial Park, Montgomery, NY. August 24 2019 Summer Harvest Festival & 8th Annual Classic Car Show from the Dutchess Cruisers Car Club at DuBois Farms at 209 Perkinsville Rd. Highland, NY. Rain date 8/25. www.britsofthehudson.com website design and layout Copyright © 2016 by Brits of the Hudson, LTD., and not for re-use.